Crosspool was awash with colour this week as flags were hung above the shops. This year’s various flags include the white rose of Yorkshire, to mark the visit of the Tour de France to the county, flags to show support for England (and Italy, if you look above Guido’s!) in the world cup and also Union flags above some of the other shops. 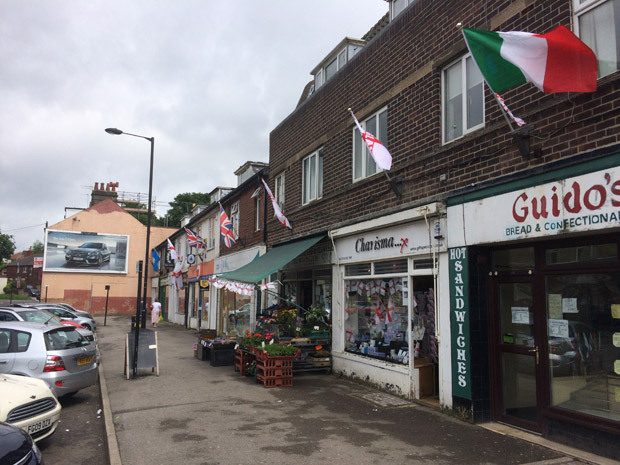 This entry was posted in crosspool, photos, shops, sports and tagged crosspool, england, flags, italy, shops, tour de france, world cup. Bookmark the permalink.